A day in the life of Tom Granado starts like a space launch — early and with a burst of energy that takes it to new heights. He and his wife, Wynn, get up at 4:30 a.m. and pray for a half-hour before she goes to work and he goes to work out. A few hours later, when the founder and CEO of New Horizon Youth Homes arrives in his Tempe, Ariz., office, his staff members say it’s impossible not to know he’s there, such is his considerable presence. They talk fondly about his “Tomisms,” about the way he gets excited about new ideas in staff meetings, and about how the family atmosphere he has created makes it like no other job they’ve had. It takes passion and unflagging enthusiasm to run 14 Valley locations that provide residential and outpatient services to at-risk children, teens and adults. It takes an incredible work ethic to do all that while completing his doctorate at Grand Canyon University. It takes someone like Tom Granado. “Our role model is our CEO,” said Jason Kindred, program director of New Horizon. 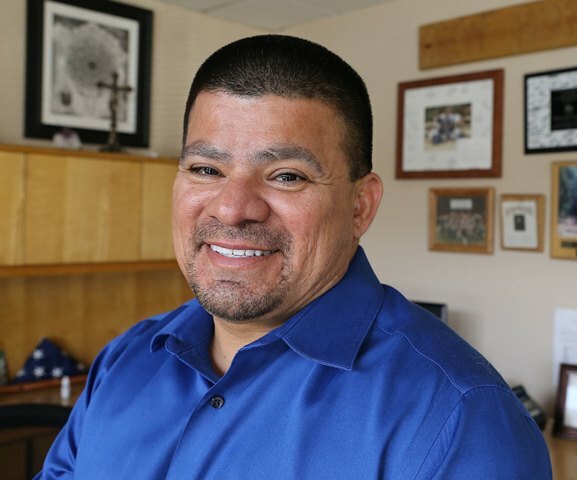 Granado’s decision to pursue a doctorate came after a time in his life when he wasn’t feeling so great. While going through a divorce, he also was trying to figure out the next steps for New Horizon, which he established in 2001. And so it was that a man with so much on his plate added a full helping of work on a doctor of education in organizational leadership with an emphasis in organizational development. Watching Granado interact with a group of boys in one of New Horizon’s five Chandler, Ariz., homes is like a behavioral study — of both him and his young protégés. He is such a natural leader, asking pertinent questions with a warm, fatherly tone, and the boys are open and talkative. Clinical Director AMee Vermeire remembers being struck by Granado’s confidence the first time she saw him in that environment, talking with the boys as easily as he played flag football with them. Granado said New Horizon’s success rate, which is defined by a client graduating or making a transition to a home or a lower level of care, is about 60 percent, and he estimates that his agency has helped 1,500 clients. One of them is 19-year-old Jose Mendiola, who came to NHYH three years ago. He considers Granado “one of the coolest dudes ever” and said the agency has meant “everything” to him. 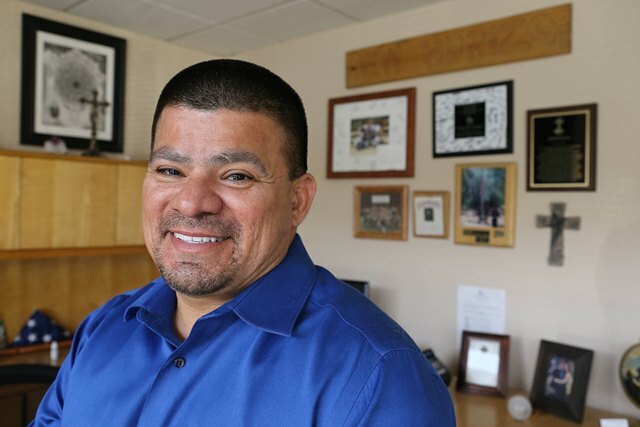 Granado’s rules are what he calls a “direct approach with old-fashioned values” — no piercings or clothing related to alcohol, drugs or gangs, and a focus on accomplishments, rewarding positive behavior and correcting negative actions. But within the care and discipline there is room for improvement and growth. Mendiola said he made his share when he first got to the home, but now he’s working at Home Depot and considers himself one of his home’s leaders. Mendiola hopes to go into the Marines, and his career goal is to work in behavioral health, preferably at New Horizon. He would be following in the footsteps of Granado, who joined the Marines when he was 17 because he wanted to escape his friends’ party lifestyle. As a corporal who taught good habits to young Marines, he realized that he wanted to teach boys and men those same skills. His work ethic certainly is a testament to that as he perseveres through his doctorate with a goal of finishing up by next year. But being part of GCU has given him satisfaction, too. This is one rocket ship that has its mission very much in control.